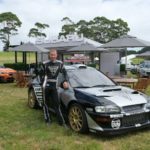 Scottish-born Alister McRae has upheld his family’s legendary driving status and made it a three-peat at the Leadfoot Festival - notching up a new record time in the mighty Vantage Subaru WRX STI. 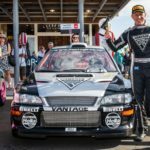 McRae had to give it absolutely everything to drop the winning time into the 47-second bracket for the first time in the Hahei-based event’s eight-year history. He.. The 2019 Leadfoot Festival has seen the new SUV track welcome many people wanting to try out Subaru of New Zealand’s three SUV models’ capabilities today. The off-road sessions at 10am and 2pm today and tomorrow, offer a chance to test the X-Mode technology of the XV, Forester and Outback in a steep environment right next to the event’s pit..